On my last visit to Chiang Mai, I found this gorgeous scarf while wandering the night market. 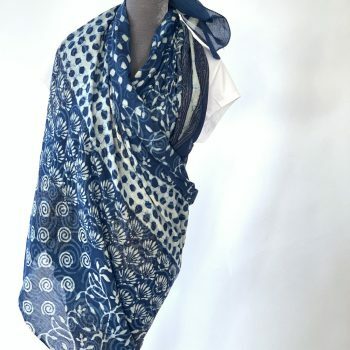 The women who created this handmade Thai indigo cotton scarf didn’t speak much english but was so happy that I was so excited about the scarf. She only had one and I knew I had to bring it home! I would love to have had more but the fact that there is just one makes this extra special. 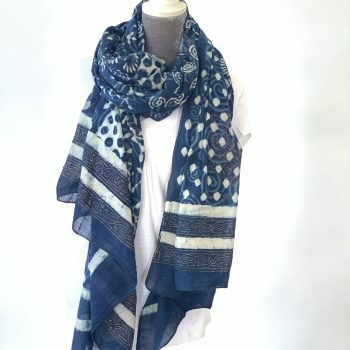 This stunning handmade Thai indigo cotton scarf is decorated in a traditional Thai batik method used by the local hill tribes from the mountains surrounding the city of Chiang Mai. The beautiful blue colour comes from locally sourced natural indigo. 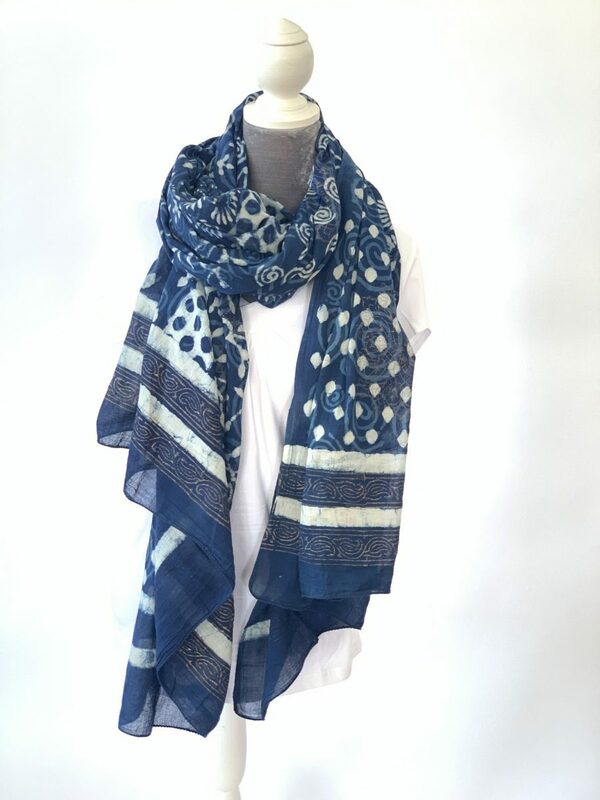 Although the scarf is large, because it is such a lightweight fabric it feels light as a feather when you have it on. This beauty can double as a sarong too!